Honestly, i’ve been in a lull since mid-may. That’s mostly because at that time, my time spent in games decreased significantly. I’m very casual under normal circumstances already, so when time and will to play decrease even further, there’s not much to write about, gaming-wise. As this place was meant as more than just the MMO stuff, i am very happy to use this years’ Blaugust as a means to end the lull. My plan is to post something every day in august, even if it’s just one screenshot. I might also tackle different topics. 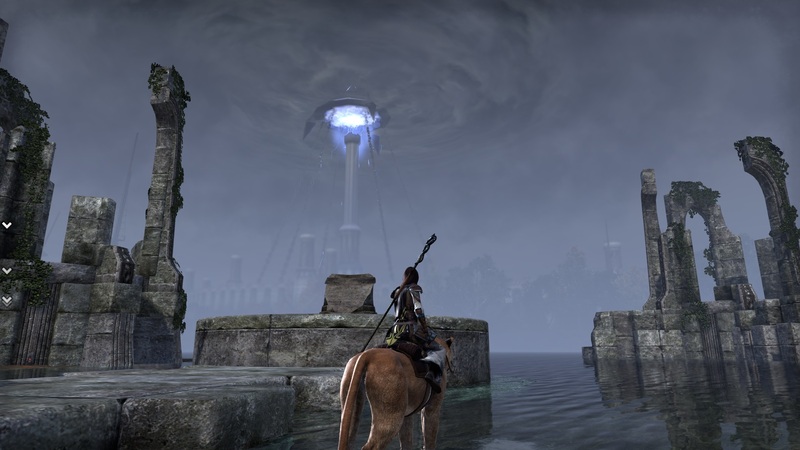 In the coming days, i’ll launch up ESO for the first time since the end of june, and i plan to make some progress there. My main character is level 38 and i want to get her to 50 as quick as possible and fun. I’m hopeful to get there before One Tamriel hits. Recruitment: up until now, we’ve been lucky- everyone who joined us fits very well into our prospective guild culture. But we’re still few and it’s still kind of quiet- i’d like to think about ways to change that. Management: my co-leader’s still absent and i don’t really know when or if she’ll ever return. I like her and understand that sometimes you don’t get or want to play. However, she’s been absent since we first set our feet into a game and i really didn’t want to lead a guild by myself. I need help. Tackling ingame goals together: we’re a social guild, mostly, and most “events” we do serve the purpose of socializing. But i get the feeling that, to make the community “stick” more, we need to engage in challenging stuff. Dungeons, Craglorn or something- i’d like to add measurable goals to work towards here. After finishing the Deadmines with my Discipline Priestess, my first goal will be to leave the Duskwood behind her as quick as possible. I don’t like that zone very much, but it’s part of the questing achievement with the Redridge mountains, so i have some 40-odd quests to go. My Paladin needs to get the shipyards built- i want her to be able to go into Legion lands when the expansion hits. Get to know the FC and log in somewhat regularly, that’s what i want to achieve right now. Other than that, my goal is to not get carried away by this game again. 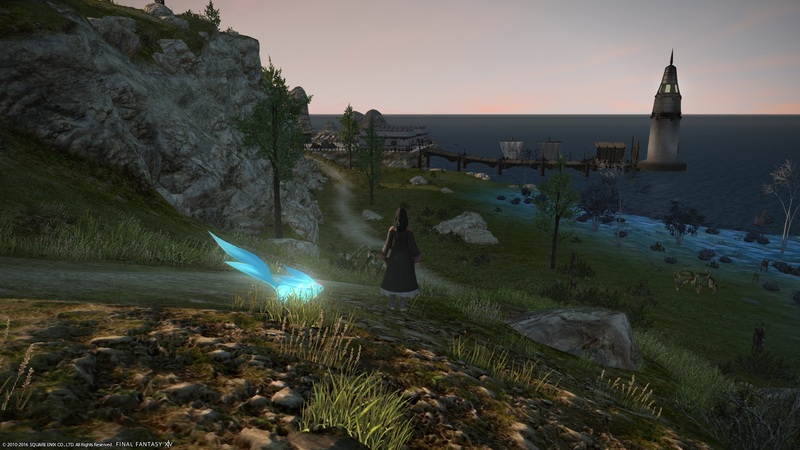 What makes me lose interest in FFXIV always seems to be that i want to do more than i’m able to, like leveling all the crafting jobs at the same time and being in fourty different places at once. So the first goal is to reach the stage in the main story questline that leads me into three different dungeons- this doesn’t take very long, the dungeons themselves will- again- prove an obstacle, but i hope to be able to pass them relatively quick with the help of the FC. In WoW, i played the Shaman when i wanted to play World of Warcraft but wasn’t in the mood for a dungeon- in FFXIV, i’ll level different classes and possibly crafting jobs while waiting for lightning to strike and feeling both willing and able to do a dungeon run. Whatever it’ll be, i’m not going to try and level it up to the highest class’ level; mainly because leveling through the MSQ is so quick that i’d probably be doing 20% questing and 80% gathering/crafting. After that, i need retainer access and possibly my first mount. That’ll take some time. I’m pretty sure i won’t be able to do all of this, but this is the general direction i want to take in august- to then be prepared for the time come september and later in the year when gaming will be allowed to take more of my free-time again.